Addoley Dzegede’s “Here and Elsewhere,” a 12 ft.-wide silkscreened work of pigment on cloth, is on view at St. Louis Lambert International Airport in Terminal 2 between gates E10 and E12 through the end of October, 2018. The airport currently has 29 equally intriguing works of art on view throughout the terminals, courtesy of the Lambert Art and Culture Program. Christian Scott, North Beach Bandshell, Miami Beach, 2016. A new exhibition at Miami International Airport on view through October, 2018, celebrates the 30th anniversary of The Rhythm Foundation, the award-winning local non-profit organization that showcases international artists in South Florida. Front Row to the World is an exhibition of 15 concert photographs near Gate D31 by Peruvian-born and Miami Beach-based photographer Luis Olazabal. 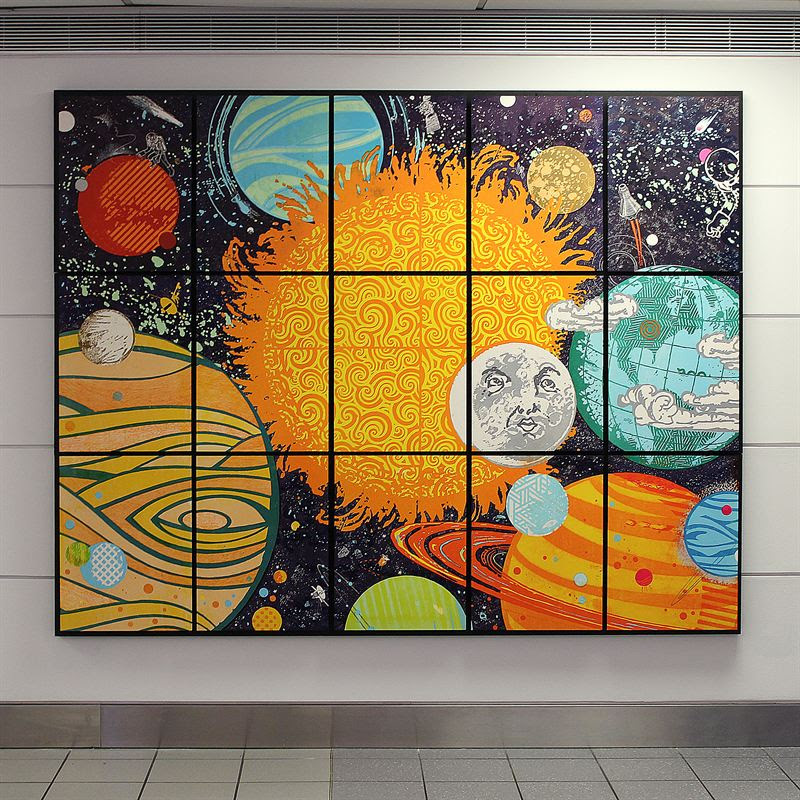 A fresh new piece of art at St. Louis Lambert International Airport explores and celebrates the mysteries of the solar system. 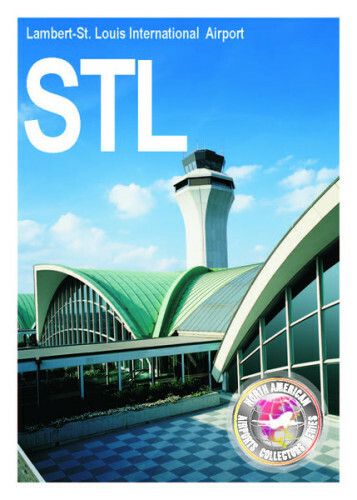 Created by artist Eric Woods, owner and founder of The Firecracker Press, The Solar System Series, is on display at STL near the Terminal 1 A Gates entrance/exit. This multi-paneled work is letterpress printed on paper, from hand-carved woodcuts and other recycled materials, including cardboard and vinyl siding. Each panel was printed individually and then pieced together and mounted on wood. Hidden in the piece are all sorts of “Easter eggs” to look for, including the Starship Enterprise and a lost satellite. Like the looks of this artwork? On the Firecracker Press website I see that they sell Solar System Prints (Gemini is my favorite), posters, journals, cards and more. Thanks for visiting StuckatTheAirport.com. Subscribe to get a daily travel tidbit. Stuck at the airport? Lucky you! In these and many other airports, you’ll get to see some great art. Lambert-St. Louis International Airport has a new art exhibit featuring wind instruments from the Sheldon Art Galleries through December 13, 2015 in the Lambert Gallery. On view: beautiful and exotic wind instruments from Africa, Asia, Europe, Oceania, South America, and Central and North America, which are a part of The Sheldon’s Hartenberger 2,500 piece World Music Collection. At Austin-Berstrom International Airport there’s a new exhibit featuring beadworkd from the Austin Bead Society. And in the Terminal C-D link, Philadelphia International Airport is commemorating the 75th Anniversary of the start of its commercial air service with a new exhibit looking back at the airport’s transformation into a major hub airport. Kenneth Aston, Philadelphia International Airport.